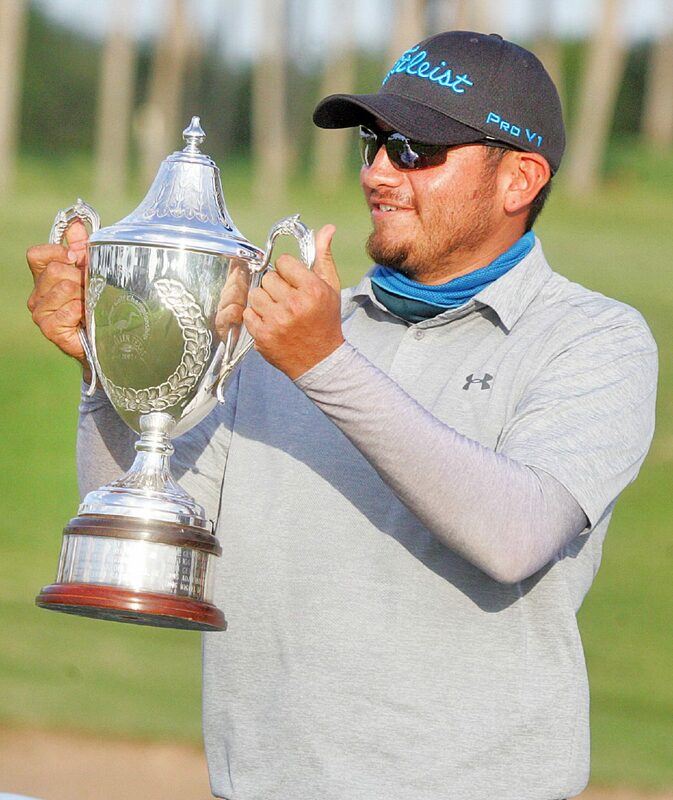 McALLEN — Edinburg’s Joe Avitia, 30, knew he had to rely on his putting coming into the McAllen Amateur Golf Championship, and his putting did not disappoint him. 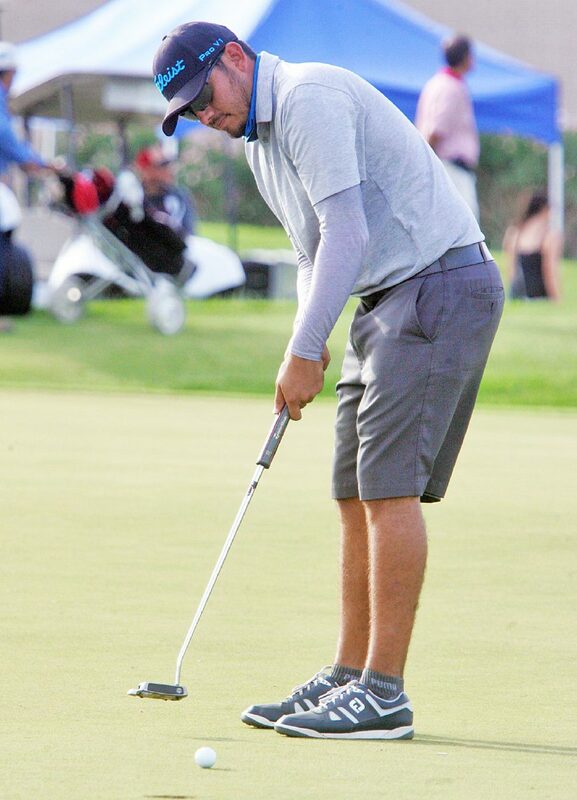 Avitia shot a second-round 74 on Sunday to follow his opening-round 72, and his 146 final score was good enough to net him the win and earn having his name engraved on the Art Metcalf Trophy at the McAllen Amateur Golf Championship at Palm View Golf Course. Avitia brought a seven-stroke lead into the final round. He got on a roll early on Sunday, and after the first six holes, he knew the Metcalf trophy was his for the taking. The Palm View course was a star throughout the weekend. In July, Palm View became the third course in the world to install Champion G12 Dwarf strain of grass on its greens. The vibrant greens played extremely fast throughout the weekend. Other measures were taken to improve the course for this tournament. Palm View had a high rough, making it very difficult for golfers who failed to hit the fairways. And the fairways themselves were narrowed, requiring accuracy on every shot from the field of 135 golfers who competed. With the course playing so tough, Avitia, who played for UT-Brownsville from 2005-06, took a conservative approach and did his best to maintain the cushion he built for himself early. He said the front nine played a bit easier than the back nine. So after an early lead, Avitia knew how to close. The other two golfers in his group, Davila and del Angel, did their best to slow Avitia. While Davila and del Angel were chasing, an opportunistic Calvin Lackey snuck into frame. Lackey finished the first round tied for ninth with a 79. Lackey charged forward in the second round with a 73 to give him a total of 152, which was good for second place overall. Lackey’s 73 was the second-lowest 18-hole total of the tournament, outdone only by Avitia’s first round 72. 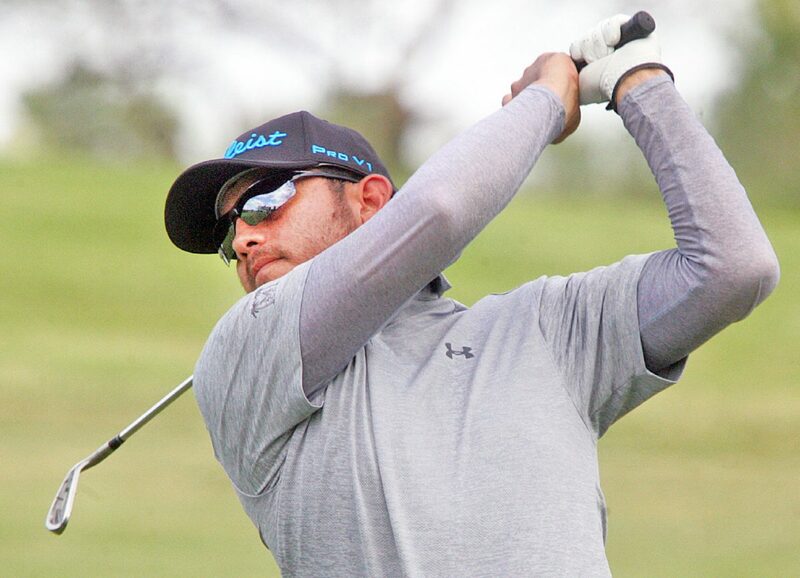 Avitia has played in the McAllen Amateur three times. In 2015 and 2016, Avitia took second place.